The Walmart coupon portal has a hot new BOGO coupon! 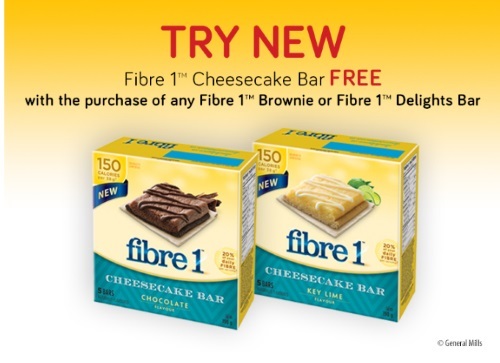 Get a Free Fibre 1 Cheesecake Bar when you purchase any Fibre 1 Brownie or Fibre 1 Delights bar! This is a print coupon available in the Saveca Walmart coupon portal at the link below. Get yours while quantities last.